A common misunderstanding that people often have regarding air conditioning systems is that ice is used at some point in the process of cooling the air. This is why it’s easy to ignore the formation of ice along the evaporator coil—which is actually a sign of a major malfunction in the system that needs to be addressed. A part of air conditioning and heating maintenance that we stress often is changing an HVAC system’s air filter regularly. As we come to the last month of summer, any air conditioner that has a clogged filter because it hasn’t been swapped out for a fresh one can start to cause multiple problems. Below are a few of the issues your AC might face if it still has an old filter. People are always on the hunt for ways to save money, and in general that’s a wise idea. Nobody wants to waste money on something that’s unnecessary or when they can receive the same product or quality of service for less. But the word quality is key here. Paying less to actually receive something that’s actually less isn’t much of a savings at all! 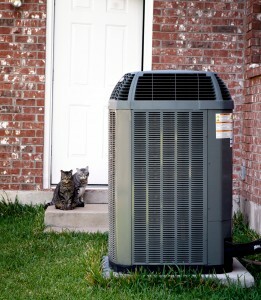 And in the case of an important piece of equipment that controls the comfort of your entire household, such as an air conditioning system, inferior quality far outweighs any upfront savings. Posted in Air Conditioning | Comments Off on When Should I Refill the Refrigerant in My Air Conditioner?